Lynn Arthur Steen was born in Chicago and grew up on Staten Island, New York, where his mother sang with the N.Y. City Center Opera and his father conducted the Wagner College Choir. In 1965, four years after graduating from Luther College in Iowa, Steen completed a Ph.D. in mathematics at MIT and joined the St. Olaf faculty. He retired in 2009 as Professor Emeritus of Mathematics. He died June 21, 2015. Early in his career Steen focused on teaching and developing research experiences for undergraduates. One result was the widely used reference book Counterexamples in Topology (1970), co-edited with J. Arthur Seebach, Jr. and partly authored by St. Olaf students. Another was a gradual change in mathematics at St. Olaf from a narrow discipline for the few to an inviting major of value to any liberal arts graduate. By broadening the major and focusing student work on inquiry and investigation, Steen and his departmental colleagues grew mathematics into one of the top five majors at the college—and one of the nation's largest undergraduate producers of Ph.D.s in the mathematical sciences. As his teaching led Steen to investigate links between mathematics and other fields, he began writing about new developments in mathematics for audiences of non-mathematicians. Many of his articles appeared in the weekly magazine Science News and in annual supplements to the Encyclopedia Britannica. Much of his professional work in the 1970s was devoted to mathematical exposition, the communication of mathematical research to students, teachers, and the broader public. In the 1980s, Steen helped lead national efforts to modernize the teaching of calculus and other aspects of undergraduate mathematics, serving as editor of the widely cited Calculus for a New Century: A Pump, not a Filter (1988). During 1985-86 he served as president of the 30,000-member Mathematical Association of America and in 1989 as chairman of the Council of Scientific Society Presidents. He also served for six years as Secretary of Section A (Mathematics) of the American Association for the Advancement of Science (AAAS). 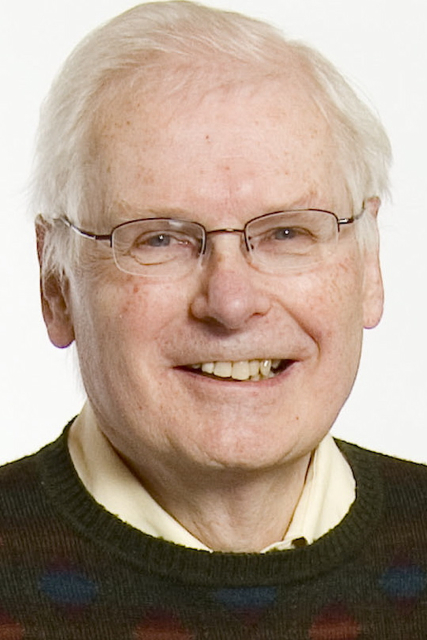 At St. Olaf, Steen served as faculty secretary of two special curriculum review committees—the 1972-74 Centennial Long-Range Planning Committee and the 1988-89 Curriculum Review Committee, each or which proposed major changes to the College's curriculum. In addition, on three different occasions he led the college's Academic Computing Center and later, the office of Institutional Research and Planning. Steen's work on collegiate mathematics drew him also into the nascent movement to establish standards for school mathematics. From 1992 through 1995, on leave from St. Olaf, Steen served as executive director of the Mathematical Sciences Education Board at the National Academy of Sciences in Washington, DC. Subsequently, Steen helped the Washington-based Achieve, Inc. pioneer grade-by-grade standards intended to simultaneously meet the mathematical requirements of college and career. (The current Common Core initiative is an evolutionary descendant of those early efforts.) Upon returning to St. Olaf, he began working on special projects for the Provost’s office. Steen's work on different sides of the school-college boundary seeded his interest in the imperative of numeracy or quantitative literacy (QL) for active citizens in today's data-driven society. Here the challenge was not just to help students learn to do mathematics when required or prompted, but to make evidence-based reasoning an ingrained habit of mind. This work helped stimulate a wide variety of QL programs on campuses around the country and led to the development of the interdisciplinary National Numeracy Network. During his career Steen has lectured in over a dozen different countries and is the author or editor of numerous articles and books including Everybody Counts (1989), Why Numbers Count (1997), Mathematics and Democracy (2001), and Math and Bio 2010 (2005). He is a fellow of the American Association for the Advancement of Science (AAAS) and recipient of four honorary Sc.D. degrees. In 2013 he was elected as a Fellow of the American Mathematical Society. Further details about Steen's areas of interest can be found at the four links in the preceding paragraphs as well as from links on the left sidebar. Also on the left are links to bibliographies of his writing grouped by area; many can be accessed via live links. Selected Papers offers links to many articles arranged not by topic but by title as well as by date. Professional Resumé contains a synopsis of Steen's major professional positions and responsiblities. Full and selected versions of Steen's C.V. are found at C.V. (complete) and C.V. (abridged). Finally, certain special projects are listed (and linked) below and on the left sidebar. Steen’s wife Mary is Associate Professor Emerita of English and former chair of the Department of English at St. Olaf College. They have two grown daughters, Margaret and Catherine, and six grandsons. 2007. On Being a Mathematical Citizen: The ninth James R. C. Leitzel Lecture delivered at MathFest 2007 in San Jose, CA, complete with extensive references links. Excerpts were published in the November 2007 issue of Focus. 2005. Strengthening Assessment in Undergraduate Mathematics: Website with reports from an NSF-supported project undertaken by the Mathematical Association of America to provide technical support for mathematics departments attempting to meet new accountability expectations. 2000. ICME-9: Mathematics Education in Universities: Agenda, abstracts, summary, and selected papers from the Working Group on Mathematics Education in Universities (WGA5) at the Ninth International Congress on Mathematics Education (ICME-9) held in Japan, August 2000. 1998. Resources for Mathematics Education: Links to a large number of sources and sites relevant to mathematics education; not updated since 1998.